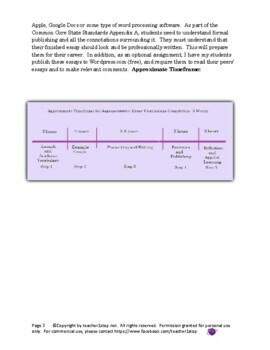 This is a complete argumentative essay unit plan. 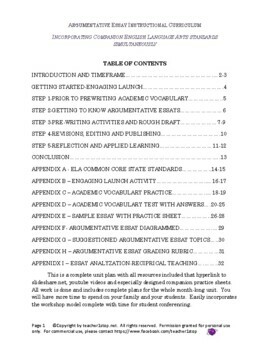 **rubric to teach argumentative essay writing in grades 6-9+. All planning is done, including tips for grading. 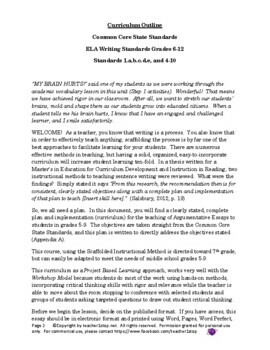 It encompasses the Argumentative writing and numerous other Common Core Standards such as Speaking and Listening and Language, and will be an asset that you can use to teach from year after year. 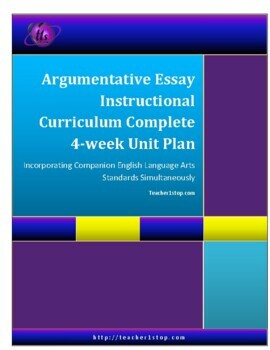 You will not find a more complete, easy-to-use unit plan for teaching argumentative essay writing anywhere. All planning is done.